Leverage off your strengths to create the balance you need. 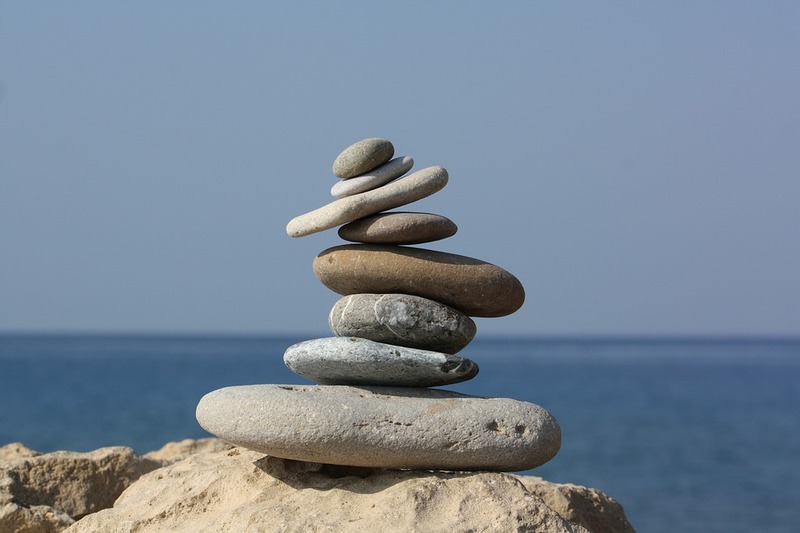 Do you need to get more balance in your life? There is work to be done. There are deadlines to meet. There are boxes to be ticked. There is ‘stuff’ to do!! And guess what...there always is! Like a lingering smell it won’t go away... will it? If you don’t do it, it will haunt you. It will tease and taunt until you finally give-in and heed it’s call...even if it is a weekend when the sun is shining and the wonders of the weekend are awaiting your discovery. No, this is important. It will get you ahead for the week. It will get you prepared, it will make you look as though you’re organised, competent, that you’ve got this… that you are a super-human being… one to be praised and admired...even held as an example of good work ethic. No, this comes first...always. You’ve probably heard the phrase “There’s more to life than work”... and ignored it. In my work I have the utter privilege of growing greatness in leaders. One of the areas we look at first is Self-Leadership. We delve into ourselves and the ‘stories’ that trigger the patterns we have held close for years. We hold these beliefs away from ourselves and look at them with curiosity. We explore how they came to be, how they manifest themselves today and how they impact our wellbeing, life, work and interactions with others. We explore strategies that will work to navigate away from imbalances and unhealthy thought patterns towards balance and wellbeing. One particular strategy I support people to use is that of utilising their over-extended strengths to support growth in other areas. To explain how this works I would like to introduce you to Sandy (pseudonym). Sandy is a high achiever. She is task-driven, well-organised, sets high standards for herself, and is a perfectionist. She works 10 hour days then takes work home, often working through the weekends. Work consumes her. When asked who she is, she identifies with her job title. Sandy has reached a point where she wishes to create more balance in her life. Simply advising Sandy to gain more balance or not to take so much work home is like asking a sprinter to become a marathoner overnight.... the stretch is too far. Giving her advice on how to do it may also be unhelpful, as the advice may not work for her. The key however is to leverage her over-extended strengths to support the areas she wishes to develop. In this case, Sandy could utilise her high organisational and goal-setting skills plus her ability to work to a plan to support her to create more balance in her life... rather than do more work. She could set herself goals, re-organise her calendar and work to a plan in order to to achieve more balance in her life. Sometimes when we are over-extended in one area of our emotional wellbeing, we need not try to damper or discount it, but rather utilise the spun negative of it (eg: from over-achiever to focussed) to create balance in our lives. The martial art of Aikido works in this way. Rather than physically trying to block or counteract a movement or energy source, through subtle movement it uses the energy to propel the movement in another direction away from the person being affronted. This is all underpinned by the scientific understanding that ‘Energy can be transferred or transformed into other kinds of energy’. We have the choice of where we place our energy and focus. We can choose to use our strengths to create more imbalance in our lives...or utilise them to create balance. You have the skills...you just need to apply them appropriately. So my challenge to you for this week is to take a stand for your wellbeing. Look at the skills you have and focus these on creating the change you want for your whole-being. It is time to move from a human-doing to becoming a human-being...and sustaining it! Newer PostWhat do you want more of? Older Post Whose greatness are you growing?